In this month when we lift up the contributions of African-Americans, we remember the Rev. Earlean Miller who, in 1979, became the first African-American woman ordained a pastor in all of Lutheranism in North America, according to the ELCA. Her first call was Prince of Peace, Greensboro, in the NC Synod where she served from 1979-1984. She and the congregation of Prince of Peace have nurtured other women of color to ordained ministry in our synod: Pastor Beverly Wallace, Pastor Brenda Bynum, and Pastor CeCee Mills. 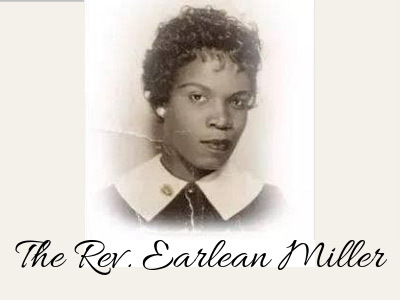 Thanks be to God for Pastor Earlean Miller. We are blessed to be a part of history / herstory!